I take the Firecracker and Hannah to a Greek restaurant up the street the day I learn my grandfather’s dying. Really dying. He’d been joking about dying for a long time, joking about never buying green bananas, that sort of thing. My mom tells me that if I want to call to say goodbye, the nurse at the veteran’s home will hold the phone to grandpa’s ear. I sit in my kitchen after this, phone in my hands. The Firecracker fills in the pages of a blank book made of stapled construction paper. “Pinky 9985 is Moving,” she titles this one. Pinky 9985 is an imaginary penguin. Sometimes Pinky 9985 is ice fishing in front of the Taj Mahal. Sometimes Pinky 9985 is hidden inside a storm of ink spirals or juggling pink igloos or moving to New York on a plane with wings like tucked arms, bent elbows, a sleek dolphin fin of a tail in a blue scribble sky. Pinky 9985 peers out the airplane window with oversized penguin eyes and a “what the hell is going on” kind of crumple to her beak. Hannah sits on a kitchen bar stool, her own phone in her own hands, thumbs tapping. I look at the hanging pots, the sun catching the rims. “Let’s go out to eat,” I finally say. The Firecracker brings her book-in-progress and a sandwich bag of colored pencils angling to poke a hole in the corner. Hannah forces her phone down into the back pocket of her denim shorts. I’m wearing a scarf tied around my head because the girls are still embarrassed by the baby-bird feathers of my post-chemo stubble. In the Greek restaurant, two women in maxi dresses and sandals stand in line, ordering gyros and Coronas, their matching expressions of sympathy sliding away from me as they wait for their total. “But I’m not sick anymore!” I want to explain to them. It’s true that the post-lumpectomy pathology report indicated total annihilation. Just like my daily meditations since last November have painstakingly envisioned. So now I think I can levitate the dog bowl and pull rainbows out of my ears and conquer all of Westeros. Or at least walk two miles in under thirty minutes. 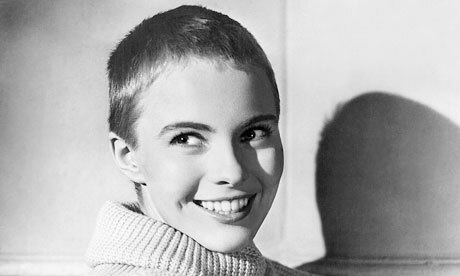 The other thing I used to envision in those daily meditations was me in the summertime looking like Jean Seberg. I’m not quite there yet, though. I lunge for the Firecracker, who is making two hanging panels of the restaurant’s menu display clang. I tuck the tail of the headwrap even tighter. I’d never told my grandparents about my breast cancer. My grandfather was starting to decline, and the family decided it would weigh on them both too much at the worst possible time. So I never told them. And when I missed a trip to see them for the holidays, I couldn’t explain that it was because of the chemotherapy treatments. I keep thinking of that, the way grandpa might have thought that I’d simply forgotten. The knot of the headwrap, just over my temple, the whole tangled scarf cocked and rebelling against looking like the full-on cancer turban it was months ago, the knot is giving me a headache. I order carefully, no meat, no dairy, but as I slide into the booth beside the girls I see feta sprinkled on my lentil soup. I try to spoon it out, but it melts across the broth. After the diagnosis, after researching all the ways to keep cancer from coming back, I decided to be vegan. And I’d been vigilant about it through chemotherapy along with drinking five cups of green tea every day and meditating and stretching into yoga poses recommended for breast cancer patients. Now, post-chemo, post-cancer, now that I’m on my own, it matters even more because it’s all I have in defense. I eat the soup anyway, feta and all, and I think, Someday if the cancer comes back I’ll know it was because I sat here eating feta on my lentil soup in the Greek restaurant while my grandfather was dying and I couldn’t even call to say goodbye. Grim as he ever was. In the car, I set my Pandora station to Lawrence Welk while the girls balk. “It’s my grandpa’s music,” I scold. All those times I’d sat on his sofa with my legs folded aside as I held my socked toes and pleaded for him to change the channel. Once he’d learned how to record Lawrence Welk reruns, there was no stopping him. It was like being trapped in an elevator in the sixties, sitting in that living room while he fumbled with the remote to turn the volume up higher. As “Swingin’ Down the Lane” plays, I imagine the television glow reflecting off grandpa’s glasses and his fingertips playing notes across the armrests of his recliner. “Maybe we can watch this later,” I say. “What?” his voice booms over the music. Grandma always said that even though grandpa was almost deaf he could hear when he wanted to hear. But I’m thinking upset or not, she doesn’t miss much. Hannah insists on going too. She sits between my mom and my little sister Alicia in the back seat, pops her earbuds in, slides her shoes off, stretches her legs between dad and me up front, stretches her legs out on the center console. “It’s alright,” my dad says. Hannah smiles at me without showing her teeth. Though I offer a few times, dad won’t let me drive. Maybe because I mention the afternoon sleepies. That’s what my radiation oncologist calls it anyway, the sense of tiredness that takes over in the afternoons during treatment. “Like when you’ve spent the morning in the sun on vacation and a little later you just feel drained,” she said. When I first met the radiation oncologist, she showed me the pinpoint blue tattoo between her finger and thumb. “I had this done so patients could see what it was like before they get their own,” she said. The dots are used to center the patient on the machine. Mine are on either side of my ribcage up high and another right in the middle of the chest. Like blue freckles. “I always wanted tattoos!” I said. Really, I did. I’d wanted one of an abstract black sun on my outer right ankle (you can probably guess this was in the ’90s). I’d walked into the tattoo parlor in downtown Dallas, heard the buzz of needles, and walked out again. 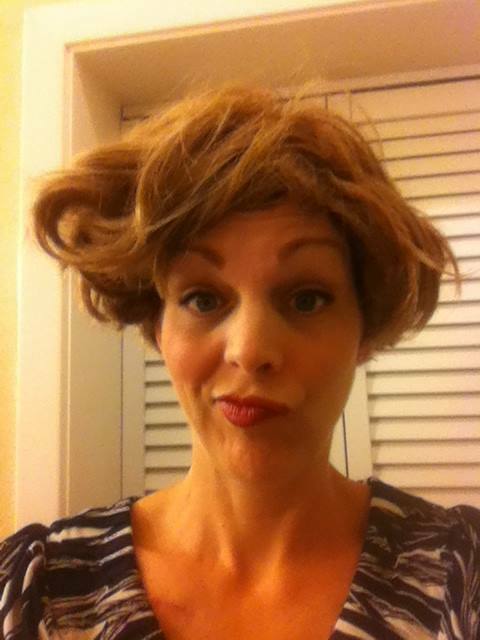 Before breast cancer I was squeamish. Now there’s nothing I can’t do. I have three tattoos. “Oh,” she says with a matter-of-fact tilt to her head. Once, she burned her finger on a pan she’d grabbed without oven mitts from the oven. She passed out cold when her dad wrapped it in ointment and gauze. We took her to the hospital for the concussion she got when the back of her head met the tile in the fall. The burn was fine. Once, she passed out in health class when a visiting nurse who had diabetes showed the class her port. Hannah slumped all the way out of her desk and onto the floor. Her friends crowded around her and cried. They thought she had died. “It’s the best day of my life!” Hannah declared when I picked her up, everyone out front, teary-eyed and waving goodbye, Hannah waving back. Once, she recoiled from my hug after she’d grazed the mediport. “I think I’m going to be sick,” she said. Now, though, as she notes my scars with a studious nod, she’s just fine. She slips into her own queen bed across the room and turns out the light. In the dark, we talk about my grandpa, the way he laughed at his jokes, the way his laughter sprawled out big and swallowed your own, the way he’d smile so his eyes crinkled up smaller behind his glasses, the way he combed his hair aside with Brylcreem, the way he’d get up in the middle of the night to shave and then go buy raisin bread. “I loved his stories,” she says. “He always had a story,” I say. Grandma notices. When we finally arrive in Joplin, grandma sits across the room from me at a gathering with the preacher the afternoon before the funeral, sits with her hands in her lap, her shoulder’s slack. “Cindy? What have you done to your hair?” she asks me. 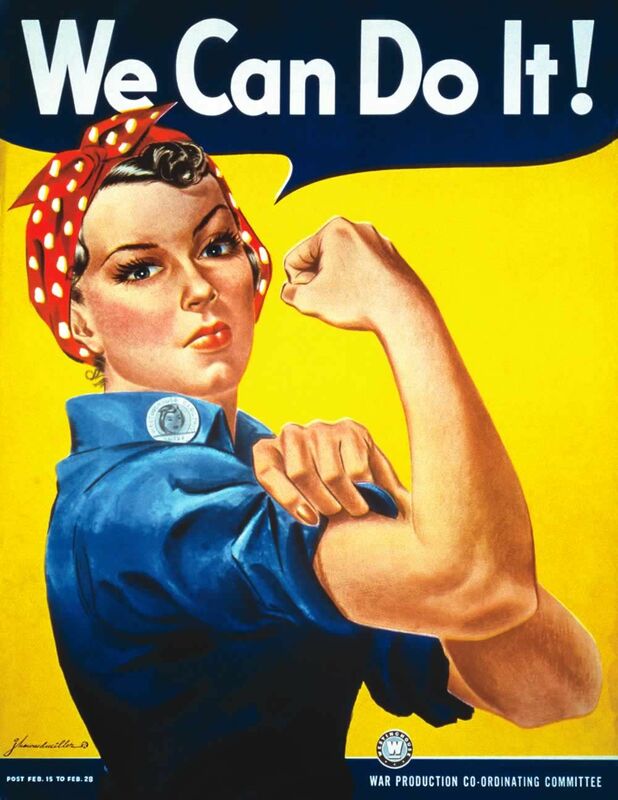 I’m wearing a red bandana tied at my forehead in Rosie the Riveter fashion. She doesn’t mention it again, not even when, at the end of the meeting, I hug her close enough she can surely feel the stubble through the cloth against her temple. She squeezes back, her face plaintive and dry. She’s a strong woman, I’m thinking, and I decide the next morning that since grandma isn’t phased I can go to grandpa’s funeral as myself.